New clients often come to us in crisis mode, reacting to situations that feel beyond their control. We listen carefully. We help you think beyond your present circumstances to define your short-term and long-term goals. We work with you in an ethical and productive manner to develop a positive case plan that matches your goals. Our firm helps you reach your goals, one careful decision at a time, by translating your decisions into actions successfully resolving your case. We never stop listening. Open respectful communication between you and our firm will remain a top priority until your case is resolved. You never have to wonder how your case is progressing because we will keep you informed. We understand that communication without action is meaningless. Our firm constantly monitors your circumstances, goals and case plan. If there are important changes, your case strategy may also take a new direction. An unexpected job lay-off can require a prompt request for temporary support in a divorce case. A change in your medical status in a social security disability case may call for the immediate submission of new medical records. Recognizing and promptly responding to changed circumstances is one of our many strong skill sets. Throughout your lawsuit, we ensure that your case plan is accurately updated to reflect your most current goals and needs. In our 28 years of working with Tampa families, and as experts in family law, we’ve learned that family law issues impact every family member. Whether you are filing a lawsuit or responding to it, we believe that you and your family are best served when respect for all individuals is preserved. We know that moving through the process with dignity is the way to “win.” That success can be achieved without vengeance. Tampa families rely on our law firm to guide them in making the many difficult decisions encountered in the divorce, post-divorce, paternity and dependency process. We see this as a team effort and you are the most important member of the team. The ultimate decision maker is you. We are your trusted and knowledgeable legal advisors. We also understand that every case is unique. Our law firm also offers collaborative law services when both parties are willing to commit to settlement without litigation. Our aggressive negotiation and trial court skills serve you well when protecting your interests requires the toughness to go head-to-head in court with a hostile adversary. Sometimes, you only need legal advice or representation for a portion of your case. We can provide “unbundled” family law services, consulting with you about how to best approach certain legal issues or representing you in specific court motions and hearings. Dependency cases present special challenges that often call for our most aggressive negotiation and litigation skills. If state workers place your child, grandchild, niece or nephew in shelter care, an immediate legal response is almost always the best response. A shelter hearing must be held within 24 hours of the child’s shelter placement. We can assist you in working with the state toward the return of your child or the child’s early placement with another family member. We represent parents and other family members at shelter hearings, adjudicatory hearings and case plan hearings, judicial reviews and termination of parental rights trials. Our 28 years of experience in dependency proceedings enable us to work closely with the state and all concerned family members to resolve claims of abuse and neglect so that your legal rights and the child’s interests are protected. We can support you through these difficult times at any stage in the dependency process. In divorce, post-divorce, paternity and dependency cases, our fee structure and the way we conduct business is intentionally designed to keep your financial costs reasonable. 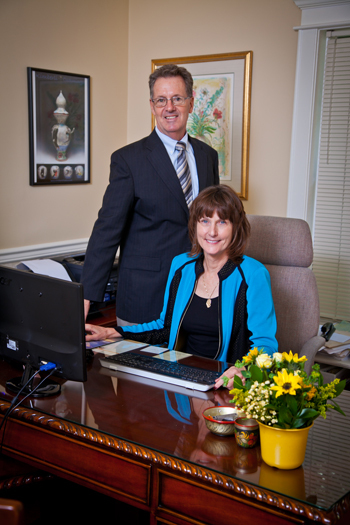 We work hard to achieve an early cooperative settlement of your case to minimize your fees and costs. If settlement of all issues isn’t possible, we will litigate in an efficient and productive manner, balancing the need to protect your rights with your desire to hold down litigation costs. There are some firms that see these cases as an ongoing opportunity to churn or run up fees – we are not one of them. The collaborative process is a process where you and your spouse control the process and make the final decisions. You and your spouse pledge mutual respect and openness and you and your spouse control the timetable. Jointly retained specialists provide information and guidance to help you and your spouse develop and make informed and mutually beneficial solutions. The process and negotiations are kept private. The court is not involved except to finalize your agreements. If you or your spouse decide that you do not wish to proceed further with the collaborative process, you will need to hire new counsel and team members although the work of the specialists may be used by the new counsel. The reason for having to hire new professionals is to ensure that everyone is committed to the process. The costs are manageable and usually much less expensive than litigation. My collaborative group, Next Generation Divorce supports reduced rate collaborative divorce for those in the middle to low incomes. I offer unbundled legal services which means that legal services are broken into components, and I will handle some components and the client handles the others. The responsibilities of lawyer and client are clearly defined to avoid misunderstanding as to what services I am to provide. 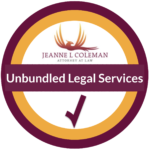 The benefit of unbundling is that it reduces the legal costs for the client because the lawyer is not providing “full services” representation, and it also offers the client more control over their legal needs. Examples of unbundled services are providing basic legal advice, drafting of pleadings for the client’s signature, reviewing documents sent to the client, conducting legal research, appearing at mediation with the client, advising on court procedures, preparing exhibits, organizing discovery, drafting a contract, and coaching on strategy. Some of the unbundled services can be offered for a flat fee. New Clients: We offer a free, 20-minute consultation for new clients. 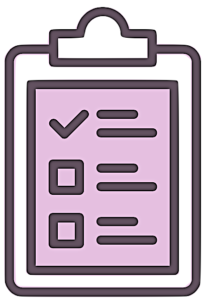 To prepare for your initial consultation, click here to download and print out a family law questionnaire. Answer the questions and bring with you, along with copies of any associated documents. Our AV rated law firm offers legal consultation and representation in all family law and social security disability matters. 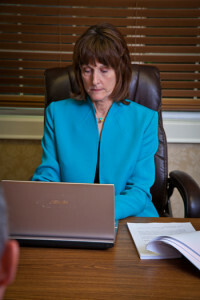 Our AV rating means that other lawyers in our community consider our level of experience and ability to be top ranked. Our telephone number is 813-253-2820, or you can email us at jeanne@jeannecolemanlaw.com. We are located in South Tampa at 404 S. Howard Avenue in the SoHo area, close to Downtown, Brandon, and the Westshore Area. We are easily accessible from North Tampa via the Veteran’s Expressway, Dale Mabry Hwy. and I-275. For driving directions, go to the “Contact Us” at the top of our home page.